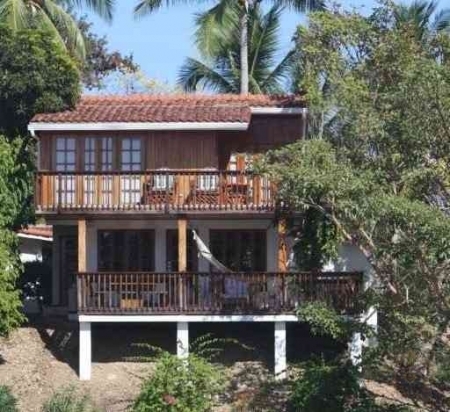 The Villa is located on the runway of Contadora overlooking the ocean, giving its location a nice breeze year round. Situated in a beautiful complex of approximately 20 villas with a communal pool and private acces to the beach. The villa is great for short or long stays and can be rented with or without maid service. The villa sleeps 6 guests. For larger groups we can make arrangements with our neighbors to make use of another villa. Local supermarket and restaurants all within walking distance.